New to us for 2018! 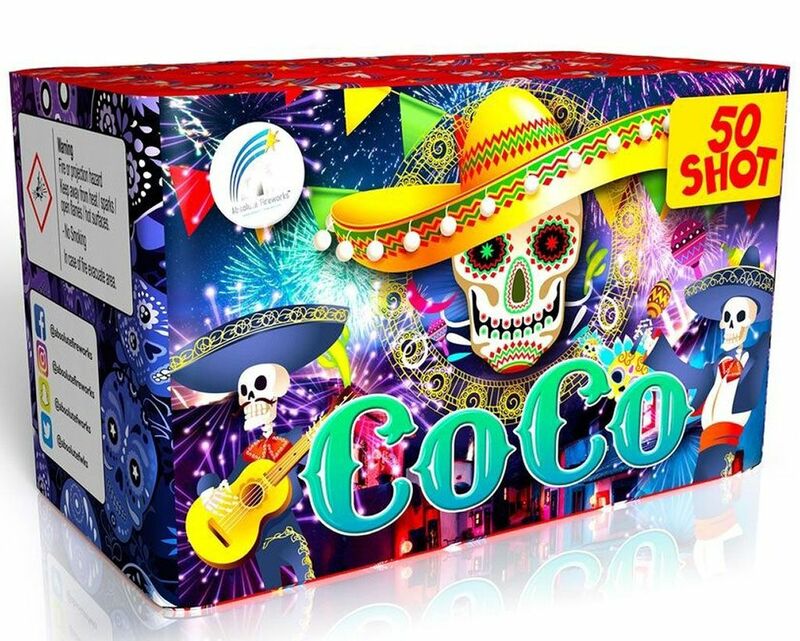 Coco is a fun mid-sized firework; reminiscent of a Mexican Fiesta. 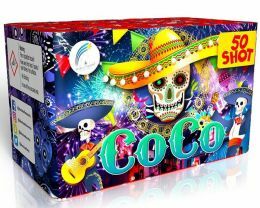 With 50 shots that hum their way up, with long spinning tails that burst into vibrant party colours and strobe.